The Rockfield Centre is run by Oban Communities Trust. Visit the Trust site here. The Rockfield Centre is located on the corner of Stevenson Street and Hill Street, Oban. Stevenson Street runs off the A85 (George Street). 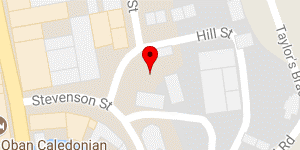 Postal address: Oban Communities Trust, Linndhu House, 19 Stevenson Street, Oban, PA34 5NA.